Rated 1 star based on 1 vote. iClone 7.22 adds new enhancements and also comes a large number of important fixes. Important: If you do find any new bugs, issues or glitches in the 7.22 update, please can you report them first in the Feedback Tracker. Then feel free to discuss the issues in this thread. However do make use of the Feedback Tracker first to log the issue. My issue with undo not working still persists, also speedtrees keep disappearing still, (solution: delete temp files, works like a charm still). I am freaking out here. Major problem with hide show tracks. I loaded an Iclone session I am working on, tested the hide show tracks with the trees and particles. Now even if I load an earlier version of this session I can't see my trees and particles even If they are in the show mode. Antbody else can confirm this please? Make a backup on a disk before testing, because this is scary! I can't reproduce your issue, but while testing I noticed something else regarding turning visibility On and Off. Thank you for your the quick reply guys. Deleting the preference solve the trees problem but I still couldn't see my particles. The Fur particles was using the Arabian horse mesh that is invisible by default. 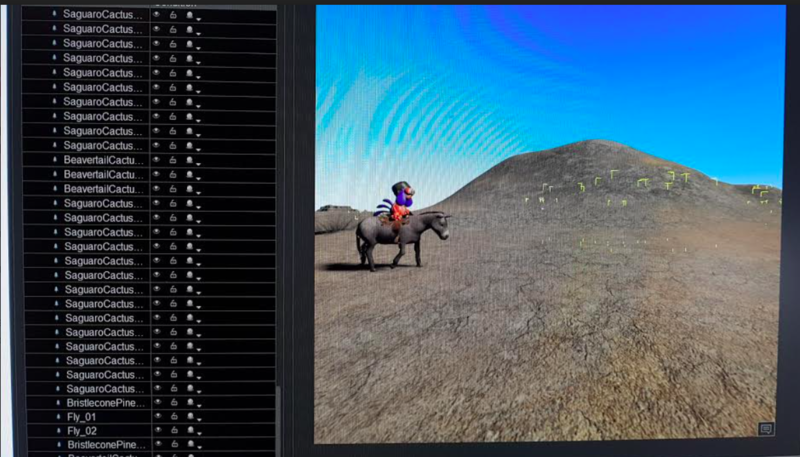 I was finally able to see the Fur particles fx by making the horse visible and using simulate in pfx. I had to do the combination of both to have my popcorn fx back. you change all textures to 0% opacity. I was logged in when I posted this here because when I tried going to feedback tracker it wanted me to login so I did and it wouldn't accept my loggin. I just logged out of the forum and logged back in. Now when I go to feedback tracker it opens up fine for me now. Obviously related to me setting my forum loggin to remember me I think? Yep its definitely related to setting forum to remember your login. I just closed all my web browsers down. Reopened the forum which automatically logged me in because I didn't log out when I closed the forum.